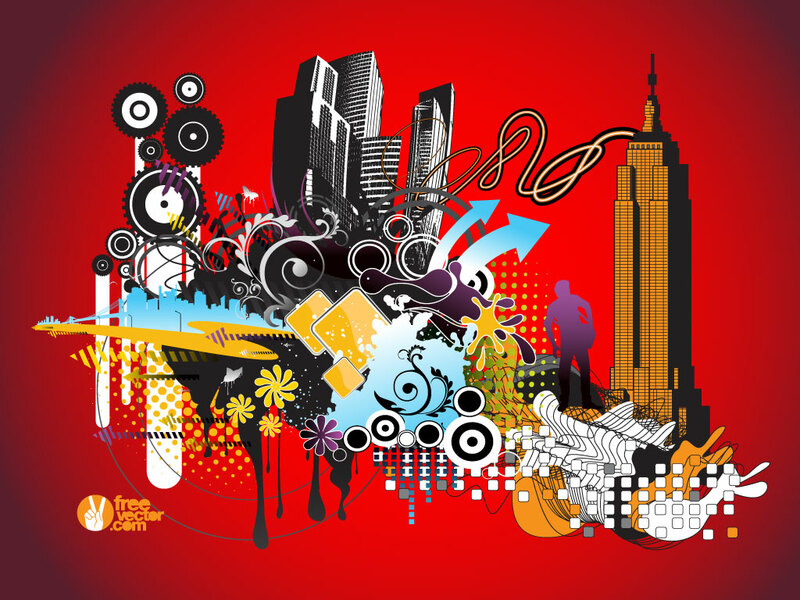 This cool urban vector collage features buildings, skyscrapers, towers, splashes, splatters, abstract design elements, halftone dots, silhouettes, clip art, swirls, arrows, stripes and gear graphics. Download and use as a background of separate the elements for maximum use. Tags: Abstract, Arrows, Circles, Collage, Gears, Modern, Skyscraper.